Does the election of Barack Obama make you proud to be American? Why or why not? Does the election of Barack Obama make you proud to be an American? Those words rang in my ears as I cast my ballot. Only time will tell if Barack can live up to his seemingly righteous and genuine approach to leading America in the right direction. But as it stands, you can feel it all around. A new energy on the streets from that stranger you pass. You see optimism and smiles, in those dark corners that seemed ever so present in the struggles from the college student to even the “soccer moms” haha!!! He is bringing inspiration to so many and life is what we make it, so at least with such a drastic change and Cinderella story that this election has been we can all ride this feel good wave and hopefully the shore we reach is rich and full of life, liberty and we are all pursuing happiness. Whether we like it or not, we are blessed to live in the greatest country in the world. I believe we owe it to the rest of the world to lead. And it starts with every individual citizen. Making the healthy choices and not giving up on your dreams. I am hoping to travel the world and it seems apparent Obama is already making an impact globally. I am an aspiring film maker and hope to join the Peace Corps or similar organization and help make a good name for Americans and expand my cultural awareness. It’s up to us to be disciplined with our spending, energy use, stay open-minded and not rely on the media to help us learn how to live, love our families, love our neighbors and be critical of our authority but rational with our arguments. The election of Obama makes me proud to be American because for the first time in my life I think this result makes us all realize that not only are we all Americans first, but we are all humans first. And we need more than ever in this country to stretch our compassion and integrity to it’s limits so that we can strengthen not just this country, but the world. I feel that in electing Obama we have made a giant leap forward for the good of this country. Setting aside racial undertones to elect an African American President shows how far this country has come in just a short time. 50 years ago, African Americans had to sit in the back of the bus, or use seperate bathrooms or water fountains……in less than one lifetime, that has gone away and we now have an African American in the highest office in the land. i do feel prowd to be an american things are different. maybe the wourld will change. YES, BECAUSE WE NEED CHANGE IN AMERICA AND NOW WE CAN DEPEND ON OBAMA TO DO THAT. It didn’t change because i have always been proud to be an American. Yes it does make me feel proud now that Obama won because he was the first African American to become president and i think he has a lot of knowledge to accomplish alot of things. Yes, I feel proud to be an American because Obama won.Things are finally changing. And I’m proud to be here in this lifetime. I think so bacause living in LosAngeles what we call the “GHETTO” seems to be more challenging growing up into a better person. Not because its a bad thing but because of the bad influenced friends and siblings. To see some one like Obama win president shows you that Afican Amercan can make it. if obama make a change like he said he will then i will be happy yes i would yes i would thank god all mighnty yes i would. Hell ”yea” Obama election make me so proud !!! !b-cuz he said that he well change the world to have a better life”’. yes,becouse we need a change in life it can become history and obama can do that. I think I am proud of him being the president b/c he will make a better state. yes i am proud of being AMERICAN because it shows that everyone of a different color that is a citizen has the right to do what the want to do. ¡WELL YEAH I GUESS CUZ EVERYTHING IS GOING TO CHANGE NOW!BUT I WILL ALWAYS BE PROUD TO BE MEXICAN! YES, IT MAKES ME VERY PROUD, BECAUSE ITS LIKE HE OPENED UP A DOOR FOR YOUNG LATINOS AND AFRICAN AMERICAN CHILDREN WHO DREAMS OF REPRESENTING THE U.S GOVERNMENT AND THOUGHT IT COULDN’T BE POSSIBLE. WELL IM HAPPY THAT NOW THE COUNTRY THAT I LIVE IN IS GOING TO “CHANGE” BUT I WILL ALWAYS BE PROUD TO BE A MEXICAN AND PROUD TO LIVE HERE . IM SO PROUD OF OBAMA BEING PRESIDENT BECAUSE HE IS GONNA MAKE A BIG DIFFERENCE IN THIS WORLD AND HE IS GONNA MAKE A CHANGE TO EVERYONE!!!!!!!! Yea I’m proud to be American and to be Latino too. But I’m still proud because now there is change. We need to change to be a better community,state,world. I am proud to be a both Latino and an American! GO OBAMA!!! yes because he made history and i think he will make this world a better place. I pick democracy becuace its equal because citizens can vote. I’m proud to be an American. But mainly because we finally have an African-American as president. Yes because If I wasn’t an American I coudn’t have done some of the things that americans couldn’t done. YES I’M PROUD BECAUSE IT’S SOMETHING NEW AND WE ALL NEED A NEW BEGINING. Yes because he is the first black president. 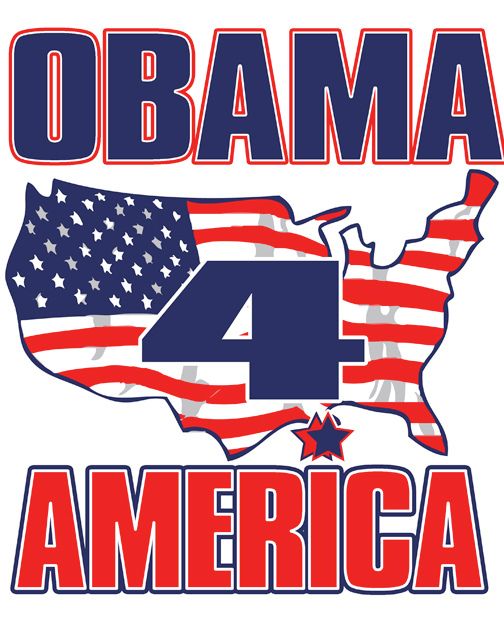 Yes, Obama’s election makes me proud to be in this country becuase I think he will fix all of our problems. yes because he is the first black president and because he made changes and we need changes!!!!! WELL I REALLY DON’T BECAUSE I AM NOT AMERICAN I’M MEXICAN.ALSO I DON’T LIKE OBAMA OR THE OTHER WHITE GUY. I THINK THTAT IT DOES BECAUE WE GET 2 NOW AMERICAN FEELINGS AND I THINK THAT OBAMA IS A GOOD GOERNMENT!!!!!! !LETS GO OBAMA!!!!!!!!!!! Its good that we have a different color and background which is Obama.Im pround in the way that we have a different color president. yes it made me proud because things in america is going to change.. YES I AM PROUD TO BE AMERICAN AND HOPEFULLY OBAMA WILL MAKE US MORE PROUDER TO BE AMERICANS. It does make me feel proud to be an American because he was the first African American president ever to actually win an election.I feel like he will make America a better country. THE FIRST BLACK AMERICAN OBAMA!!!! yes because he had the courage to run for president being a African-American and he won. OBAMAS ELECTION DOESN’T MAKE ME FEEL PRUOD TO BE IN AMERICA BECAUSE I THINK THAT HE COULD BE LIKE OTHER PRESIDENTS AND DO NOTHING. yes becauses that is the person i wanted to win thank you. YESSSSSSS!!!!!!!!!!!! IT MAKES ME HAPPY TO BE AMERICAN PLUS AM HAPPY THAT HE IS THE PRESIDENT OF AMERICA!! yes i do because i wanted him to win. YES,HE MIHT DO SOMETHING POSITIVE TO MAKE AMERICA A BETTER PLACE!!!!!!!!!!!!!!! YES THE ELECTION DOES MAKE M E HAPPY TO BE AN AMERICAN TO THIS DAY.BECAUSE NOW EVERYONE WHO VOTED OR CHEERED HIM ON OR ANY ONE THAT WANTED TO VOTE FOR OBAMA BUT COULDN”T BECAUSE THEY WERE UNDER AGE IS NOW APART OF THIS AMERICAN HISTORY. YES IT DO BECAUSE BACK THEN IN THE U.S AFRICANS WERE JUDGE BY THEIR COLOR AND NOT BY THEIR PERSONALITY. WELL I AM PROUD TO BE A AMERICAN AND TO HAVE OBAMA AS THE PRESIDENT.. YES BECAUSE I THINK HE IS GONNA BE A GOOD PRESIDENT AND BECAUSE HE WAS THE ONE THAT I WANTED TO WIN…. yeah because we have a new president who isnt gorge bush…. well for shure yes….im proud b-cuz he said he going to make some changes in world……!!!!! IT DOES NOT MAKES ME HAPPY CAUSE I’M ALREADY WAS AN AMERICAN.AND HE IS THE FIRST AMERICAN TO BE PRESIDENT. YEAH OF COURSE IM PROUD OF ALL THIS I COULD SEE A BRIGHT FUTURE NOW THE DARK CORNERS ARE HAPPY AND PROUD OF THE LECTION (HOTEP CLASS WELCOM WELCOM IS ALL GOOD TO SEE HERE TODAY. it shows that america is in a way over raisicm and has grown over the years. obama election makes me feel good like when i grow up i could be president. I am proud to be an american because now we have a black president and the country is a little less intolerant. Also, I feel that Barack Obama will keep his word and he will change the nation slowly…..if he doesn’t get killed. AND WE ALSO MAD HISTERY. Obamas election does make me proud.The reason it makes me proud is because, if it would of been a white president, that would of been 4 more yrs wasted. It makes me feel the same becuase before Obama was president I was already a American.So basically I just feel thE SAME,BUT I’m happy that Obama won. IT MAKES ME FELL GOOD BECAUSE WE KNOW THAT FOR THE FIRST TIME WE HVAE A DIFFRENT PRESIDENT. Yes it does make me proud to be an American because now that Barack Obama is our president of the Unitee States of the America we have more options and more opportunites in life and more hoices we can have for our future. Obamas election does make feel poud to be a citizen of the u.s. it makes me proud for the reason that the elction show that most people have gotten over racism and make it a part of the past. it also shows how diverse this country is and that most people dont care more about the race but what they offer for the country. people dont discriminate others depending on someone elses color/race!! !